Whos in the Mirror Today?. 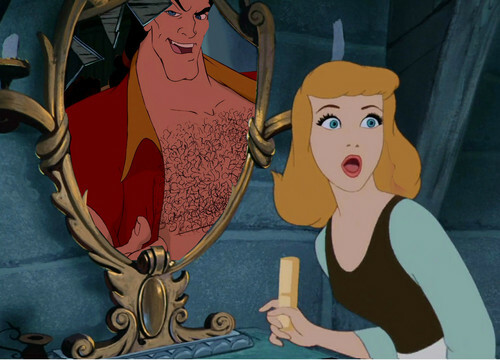 Cover your eyes little cenicienta looks like Gaston has a big surprise. xoxo. HD Wallpaper and background images in the disney crossover club tagged: disney crossover cinderella gaston. This disney crossover photo contains animado, cómic, manga, historieta, anime, and dibujos animados.